10mm Fermacell Board - 2400x1200mm - 3/8"
Fermacell is a high performance multi-purpose dry-lining board for walls, ceilings and floors. Fermacell insulation board has exceptional fire, impact and moisture resistant properties with high levels of acoustic insulation, thermal insulation and weight carrying capacity. 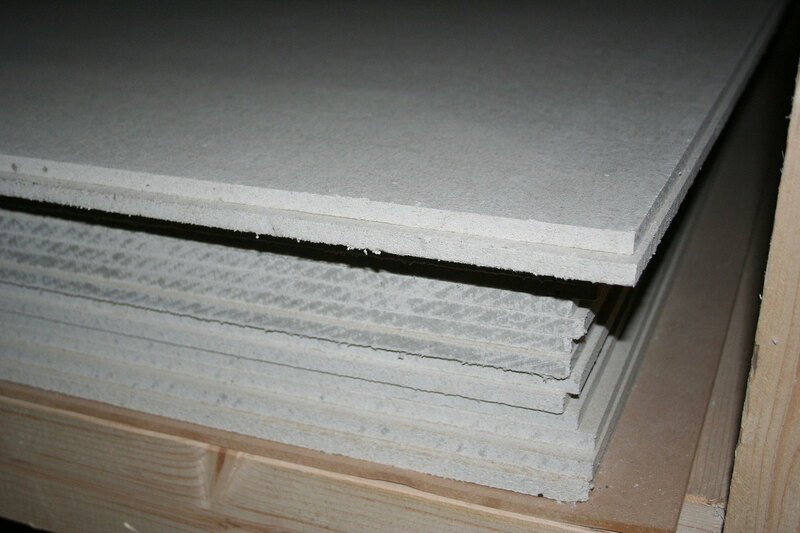 It is a fibre reinforced gypsum board, manufactured from a high proportion of recycled materials. When it is installed as a partition wall, Fermacell dry-lining board combines the performance properties of solid blockwork with the speed and flexibility of conventional drywall construction - see Fermacell Dry-Lining Board. Fermacell board is the ideal way to meet Part E soundproofing regulations for flooring; it can be used with underfloor heating and can be up to 30% more efficient than timber and chipboard flooring - see Fermacell Flooring. 12mm & 15mm thicknesses also available. Fermacell Boards are only £18.95 (+vat).